Free up spaces in your closet by adding drawers under your bed. Whether you have a spacious home or not, it is important that you are able to store your stuff well because nothing beats a neat and organized bedroom. There are many ways to store home items from cabinets, shelves, boxes, and even in furniture. There are benches as well as ottoman chairs that can double as storage area. And of course, the same can also be done to your bed. 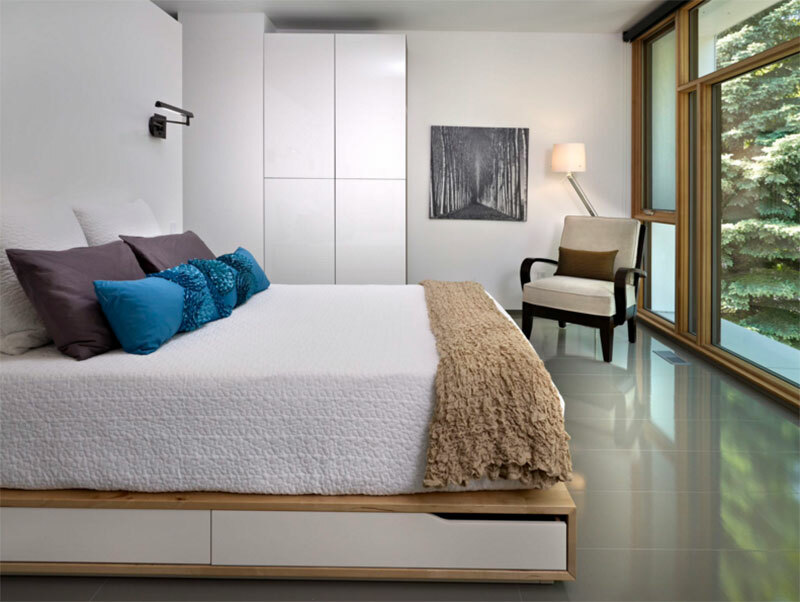 Even of you have a modern or a contemporary space, it doesn’t mean that you could no longer get a bed with storage of it. There are many beds with sleek designs and storage drawers under it and that is what we will show you today. The beds may come in various designs but all of them as similar functions in storing some items in it. If you want to make one or you are planning to buy one, here is a list for your inspiration. A neat modern bedroom with different textures of the fabric. Notice that it has a drawer under the bed that is painted white. 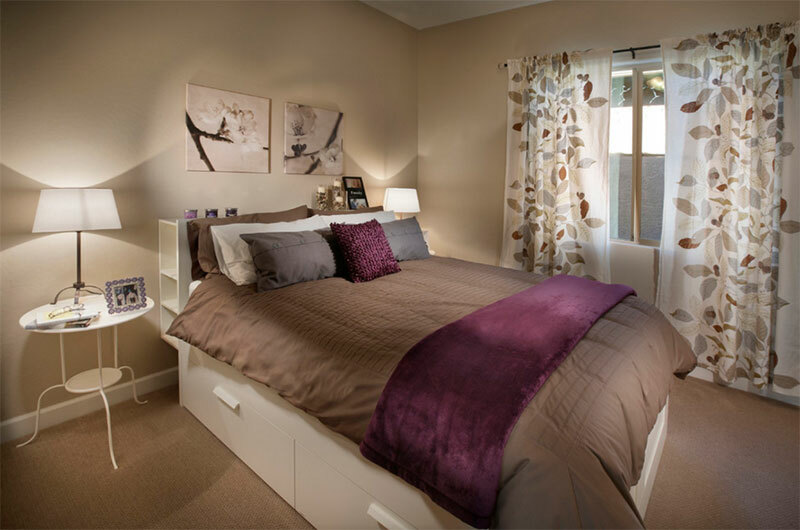 This bedroom is located on an upper level and might even be a condo unit. Square drawers are seen just under the bed. The drawers of the bed here are exposed but of course it can be pushed back and kept too. A raised bed in the master bedroom. It features a bed on Ikea Akurum drawers with wood sheathing and leather pulls. Instead of adding handles, the drawers have holes so that it will be easy to open it. 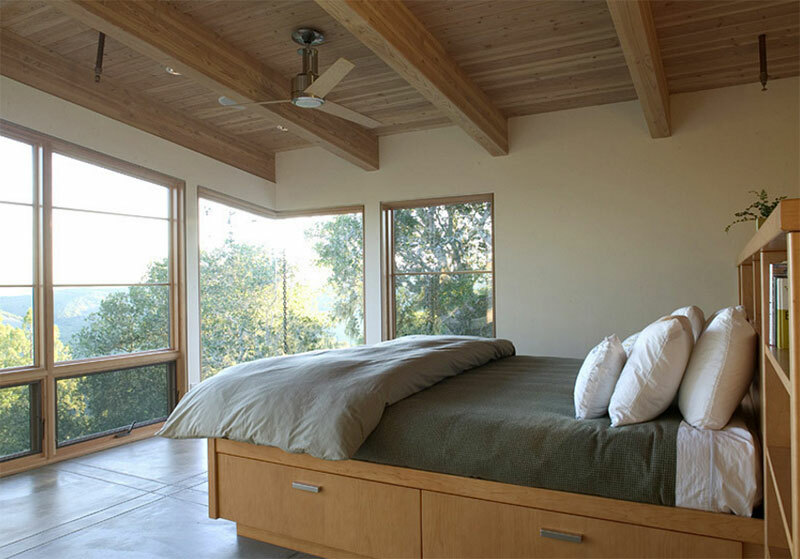 A contemporary bedroom with a good view of the outdoor area and a wooden bed with drawers. This bed doesn’t just have white drawers but even shelves on the headboard. Seen here is a custom bunk bed that features integrated storage cubbies within and roller-drawers beneath. The color of the bedroom is relaxing and is even almost Zen. 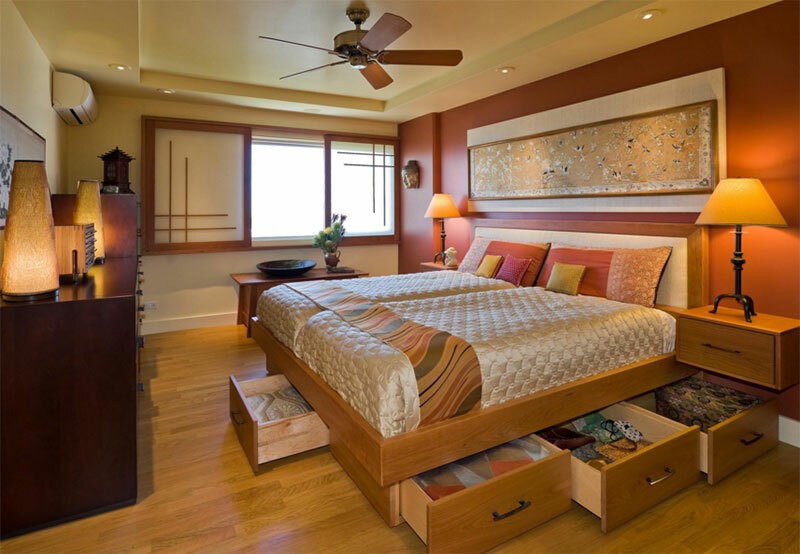 It makes use of wood for most of its furniture like the bed with easy to open drawers. 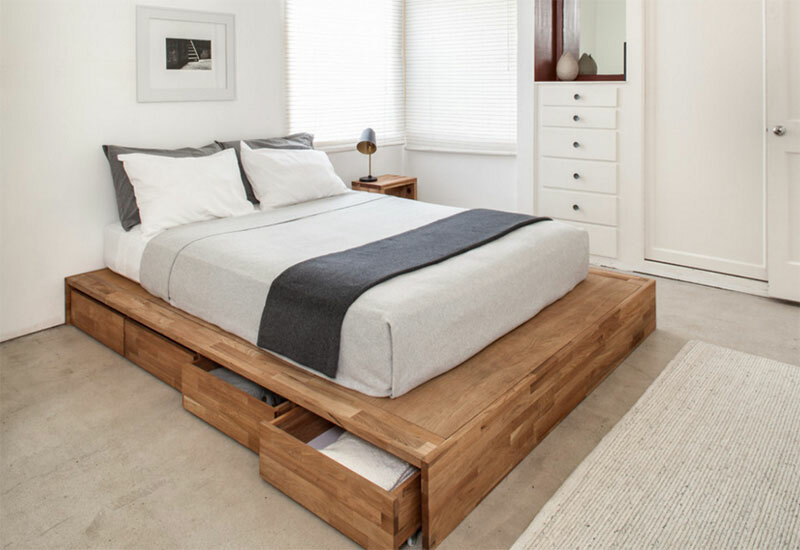 Eight large rolling drawers are seen in this storage platform bed that will give your closet or dresser some breathing room. A modern bedroom with a beautiful headboard that has shelving on it. Oh take a look at that chair with different patterns! 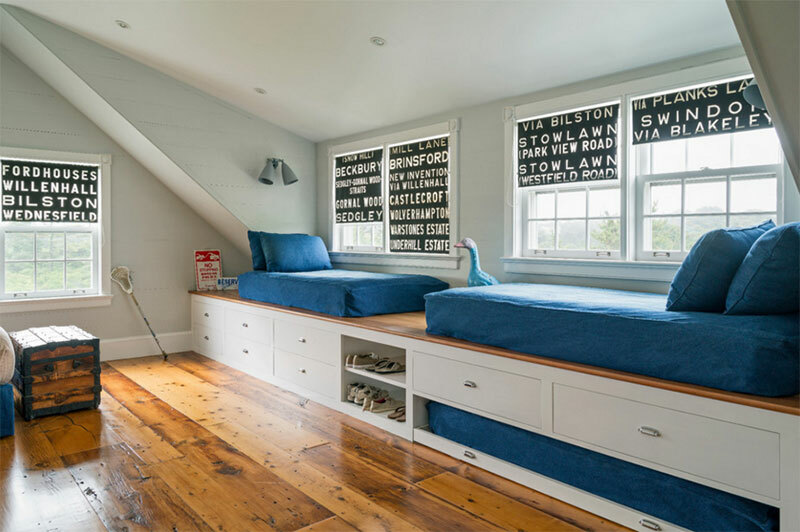 This bedroom has a subtle beach-y feel because of its colors. Notice that its drawers are in two different colors. The white colors of the bedroom give it a relaxing aura especially with the wooden bed. 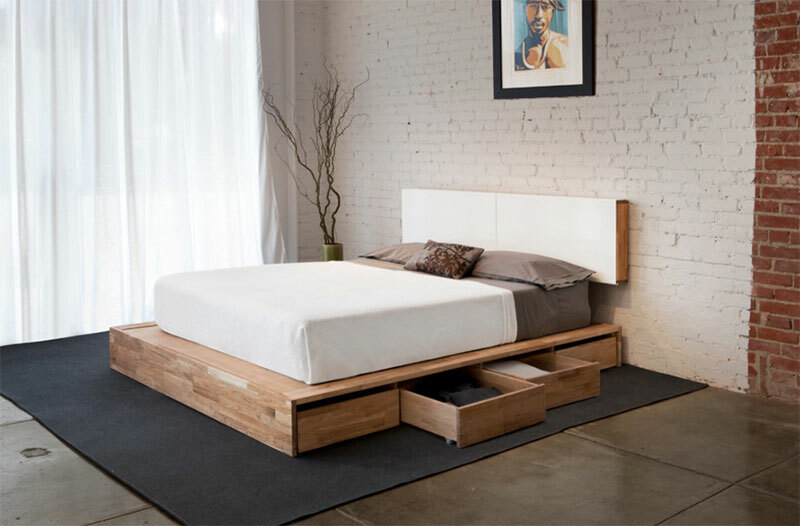 This bed is seemingly inserted into the space that has storage around it like the drawers. The bedroom has a jungle feel because of the combination of green and brown it. 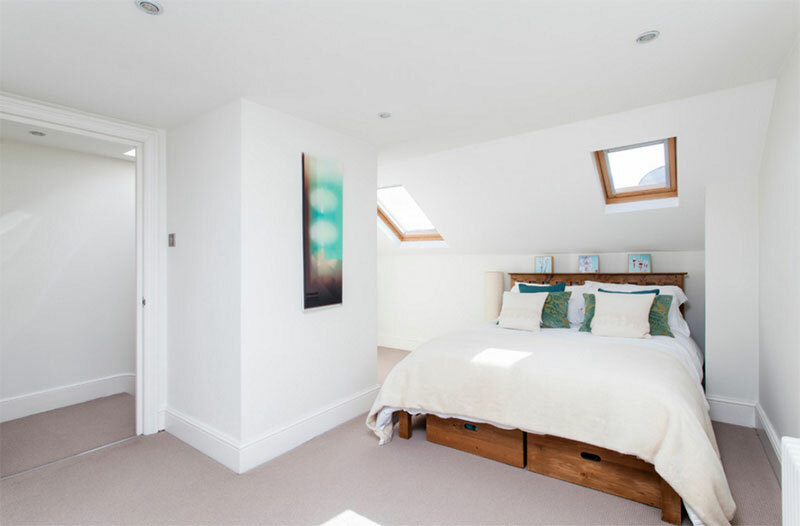 Natural light gets into the bedroom because of the large window. Seen here is a bed with wooden drawers. If you have two kids, you can arrange the bed this way so that there will be more space for playing. And add some drawers too for the bed for more storage. An impressive and stunning bed with headboard and drawers that is perfect for storage. A bedroom has light blue colors and fun decors for the boys. It is elevated to add storage drawers in it. 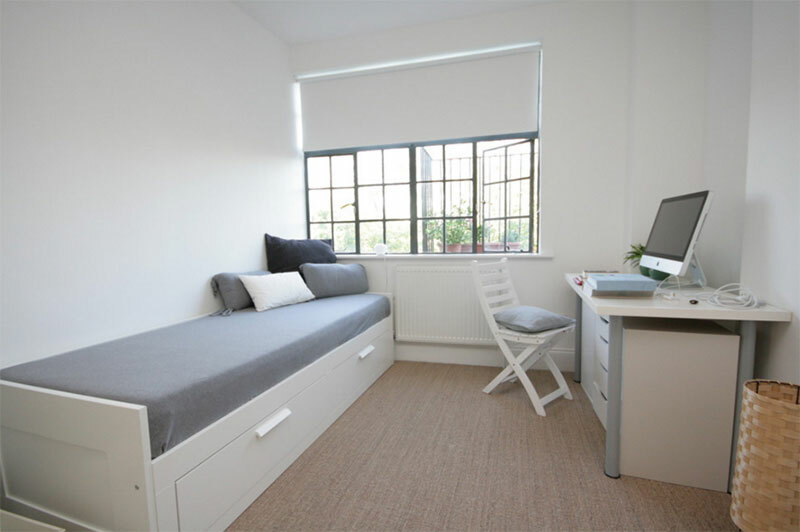 A simple bedroom in gray and white that has a small space. I can say that it is just right to add drawers under the bed for more storage in the tiny bedroom. What I find interesting here are the words printed on the curtains and the elevated storage space for the bed good for two people. If you live in a small apartment, you can use this idea to add appeal to your space as well as add more storage space it. Aside from that, it is also an interesting design. Love the farmhouse feel of this contemporary bedroom. The bed covers has a huge impact to how the area looks. 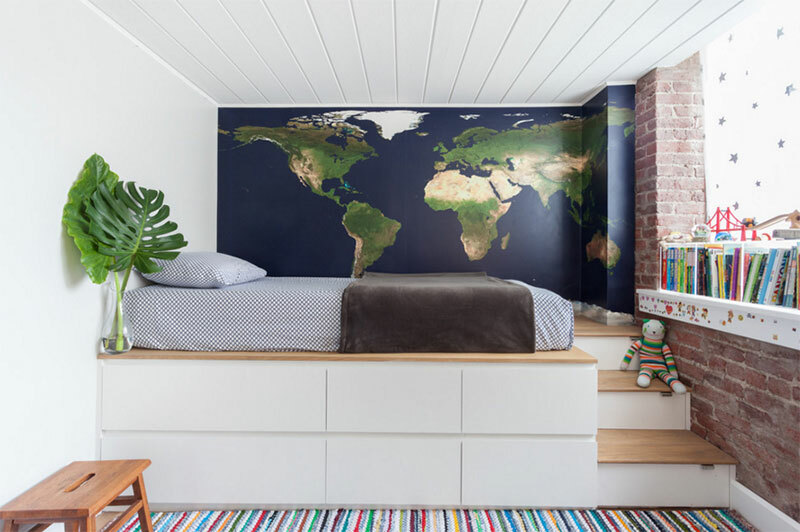 Such a cute modern bedroom that is obviously owned by a boy. It looks really nice and has a storage for toys and other stuff under the bed. Even double-decker beds can have storage under the bed too just like what you can see in the picture. It would really be nice to have a storage right under the bed. This way, you didn’t just save space but you also have other areas for storing your belongings and other items. It also gives your bed more function, which means it already has higher value. You can either buy a bed with drawers under it or have it custom made to fit your preference.